Hi there, Magento store owners! Before we continue, give us a promise you will listen to an advice you read next, OK? Good. So, the advice is - invest in your knowledge. And now, how about some education? 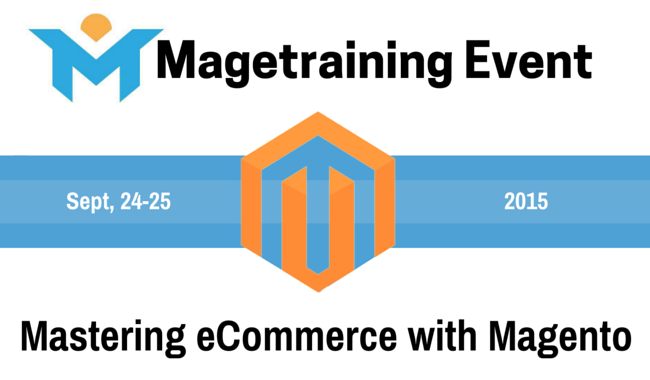 Magetraining, a company devoted to empowering eCommerce shop users by training them how to fully utilize the robust functionality available in the Magento, will be hosting a two day event, September 24 - 25, 2015, designed specifically for CEOs, IT Managers, and Decision Makers. The event will cover a variety of topics, including Merchandising, Marketing, Promotions, Content Management, Managing Customers and Orders, Running Multiple Stores and Languages, Configuring Taxes, and a preview of Magento 2.0. The main goal of Magetraining is to equip people involved into e-Commerce sphere with the knowledge they need to increase sales and improve efficiency with the Magento tools at their disposal. Cart2Cart Team insistently recommends to visit this wonderful educational event and, as a small incentive for our readers, offers a promo code for a $100 discount on the standard ticket price! The code is: “100-Off”. P.S. Visit Magetraining and get a considerable discount on any migration using Cart2Cart service. More details will be available during the event.